Hunnicutt’s, Inc. maintains the proper equipment and facilities to handle large and complex coating projects both in the shop and out in the field. From complex multiphase field projects to quick turn in-shop coatings work, Hunnicutt’s, Inc. has the facilities, equipment, and skilled personnel to complete any protective coating or waterproofing project quickly, safely, and correctly. Our industry leading team of experienced technicians and modern equipment allow us to complete projects of varying complexity with ease. We have SSPC Certified Industrial Painters, NACE Certified Coating Inspectors & Project Management Specialists on location to handle the entire scope of work from containment and surface preparation through to final inspection and delivery. We understand that each coating job is unique. Whether you need a controlled shop environment to coat specialty items, or you need quick mobilization of equipment to a remote field location anywhere throughout the region, call on Hunnicutt’s, Inc. to complete your most demanding tasks with precision and on schedule. 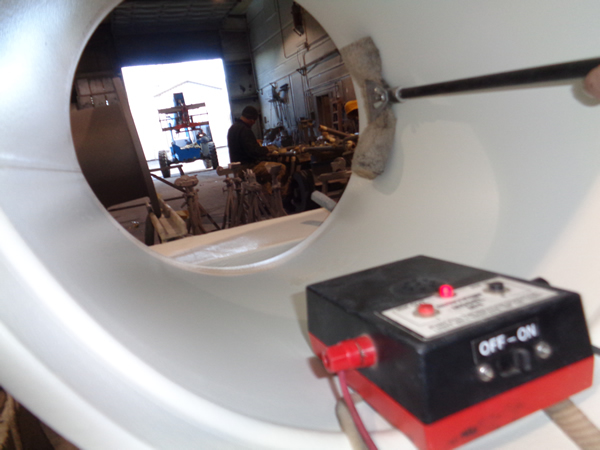 Our full service shop in Bellingham Washington allow us to provide a controlled environmental for complete surface preparation, and coating solutions. Through our strategically located Pacific Northwest facility, our Field Crews provide on location reliable surface preparation, coating & lining solutions for a wide range of project requirements. Our crews specialize in fast mobilizations and maximizing our period of performance to get your project back on schedule. Hunnicutt’s has made a commitment to meet or exceed all of our client’s performance objectives. Since 1979, Hunnicutt’s Inc has proudly served customers at our shop in Bellingham Washington and on location throughout the Western United States. 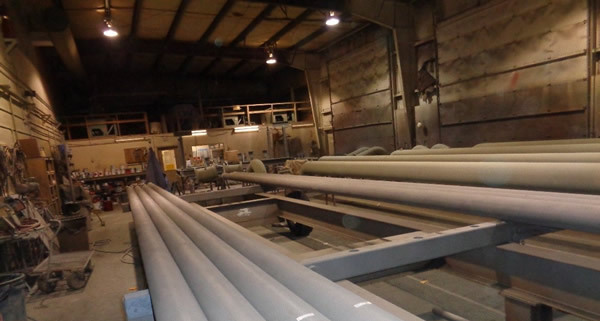 We provide sandblasting and coatings application across a wide variety of industrial environments including pipelines, steel tanks, concrete structures, pipe, structural steel, secondary containment, and mechanical structures. Copyright © 2015 Hunnicutt's Inc. All rights reserved. Designed by Perficio Software LLC.